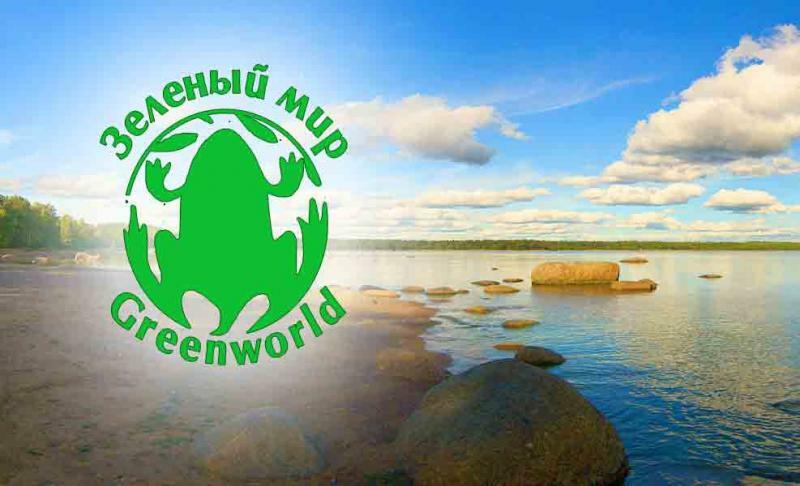 The Basmanny Court of Moscow has refused to consider a complaint of the physicist and ecologist Oleg Bodrov to Russian State Nuclear Regulatory Body - Rostekhnadzor (RTN), in which the applicant challenged the legality and safety solutions to extend the operation of the fourth unit of the Leningrad Nuclear Power Plant (LNPP) with its RBMK-1000 reactor. Issued on December 26, 2010, the RTN license extends the operational life of LNPP from 30 to 45 years! That is the world's oldest nuclear power plants with reactors of the Chernobyl series of plans to operate until 2026. Two years earlier the same RTN made another decision to issue a license to build the new Leningrad NPP-2 with VVER-1200 reactors, which should begin production of electrical energy in 2014-2015. It is located 1 km from the old LNPP. This means that there is an overlap of more than 10 years of operation of the old LNPP and of the new LNPP-2. Such a scenario could have a number of negative and even catastrophic consequences. 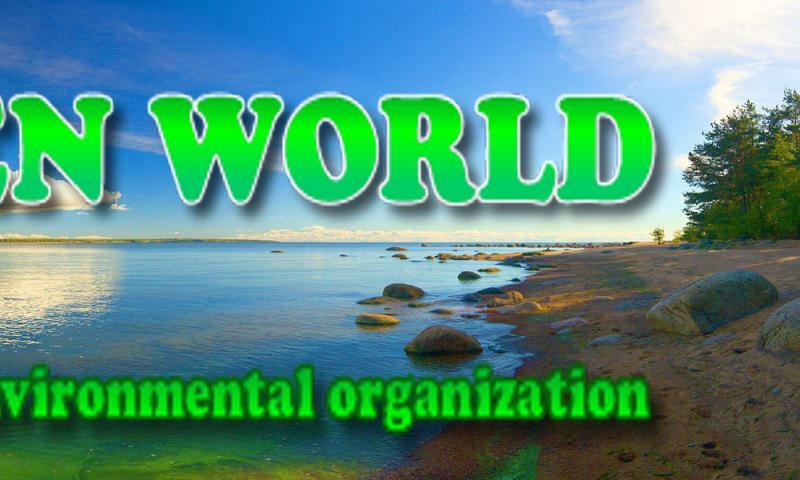 There is reason to believe that both of these decisions are made without consideration of possible mechanisms of the mutual influence of all the nuclear- and radioactive-hazardous enterprises on each other, as well as on the health of environment and people. After all there are 9 nuclear reactors now (before the construction of four units of LNPP-2) in the area within a radius of 2 kilometers. There is also a temporary storage of extremely radioactive 40,000 spent nuclear rods which is for another 25 Chernobyl-type reactor cores! 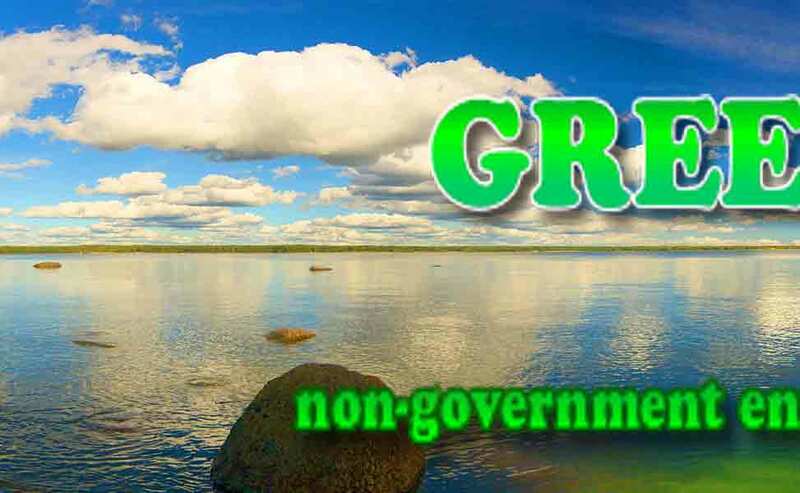 RTN, it seems, has not considered the effects of synergy, which can reinforce the cumulative impact of each of the dangerous sites on ecosystems and people. After many years in this region we have observed genetic damage to pine trees which were not taken into account when deciding on the admissibility of the siting of new hazardous installations. Environmental monitoring in the area stopped 8 years ago. It is clear that we need a systematic analysis of the possible consequences of the operation of all existing and proposed hazardous facilities, their potential impact on nature and people in the area! Otherwise there could be a disaster! The most severe accident associated with the issued RTN licenses may happen in the winter time. It is associated with the daily release into the atmosphere of more than 200 thousand tons of steam-water mixture from the "wet cooling towers" of the new NPP-2. These emissions can cause icing of the outdoor 750 kV, 330kV and 110 kV of the open switch-gears (OSG-750kV, OSG-330 kV and 110 kV) of the old LNPP, working about a mile from the towers of the new LNPP-2. The OSG provide for the transmission of electricity to external consumers via the high voltage grid. The consequences of such icing of high-voltage systems and equipment were experienced in Moscow region last winter. Residential neighborhoods were deprived of electricity, and airports stopped working. Hundreds of thousands of Russian citizens were affected. Failure of the OSG can have much more serious and long-term adverse effects than in the Moscow region. It may result in the emergency halting of all four units of the old LNPP, as consumers are turned off the energy generated. And it is not just a problem of loss of power to St. Petersburg and the several million residents of the region's half power capacity in the winter! A simultaneous halting of all reactors of Leningrad NPP will require several days to cool the reactor as it is stopped by means of an external power source. 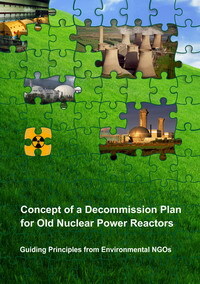 After shutdown of the reactors, they will not produce energy for their own needs! The cooling pools of the temporary spent fuel storage (SFS) will require external electricity sources too. The cooling pools contain 40,000 spent fuel assemblies accumulated during 37 operating years of LNPP. And these pools are located only 90 meters from the Baltic Sea. 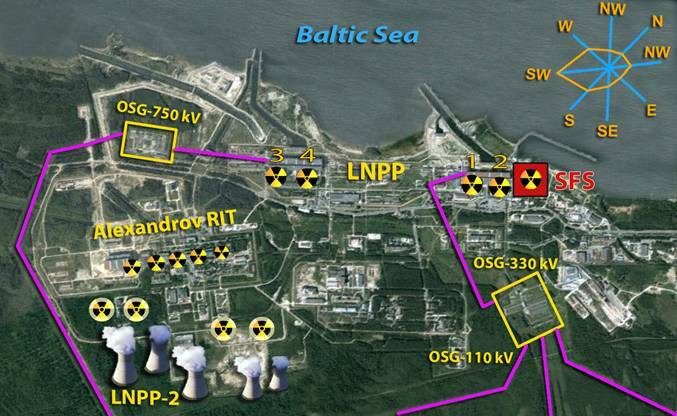 If do not provide such cooling of the stopped reactors and SFS cooling pools, a "St. Petersburg Fukushima" could occur on the Baltic coast! The Narva hydropower plant, 70 km from Leningrad NPP, is planned as an emergency source of such external cooling of LNPP. But will this source of energy operation work under conditions of icing of the high voltage equipment of LNPP? Thus the planned new work of Leningrad NPP-2 with wet cooling tower is capable of destroying one of the safety barriers of the old LNPP. Experts share the concerns by the authors of this article. Those experts have worked many years in the nuclear industry. Published articles and petitions from thousands of residents of Sosnovy Bor have been sent to the Russian President and to Russian State Nuclear Corporation (Rosatom) chief executive. But those, who live in Moscow, 800 km from the place of a possible accident, do not want to hear the voices of those residents. Those leaders have delegated to themselves the right, in favor of business interests, to decide the fate of those who live in close proximity to hazardous sites. In the Basmanny Court, in the region where the office of RTN is located, in July-September 2011 attempts were made to stop the dangerous process and to challenge the decision to extend the operation of LNPP, as illegal and unsafe. These attempts were unsuccessful. A person, who lives with his family in Sosnovy Bor, 5 km from the site of a possible accident, was denied the constitutional right to defend their safety in court. We are not even talking about the fact that the applicant was not convincing in their arguments! He was refused in principle! At the very possibility of a trial! That is, the Court, as an independent institution of a democratic state, denied a citizen the right to challenge the decision of officials, which could lead to serious consequences not only for that citizen but also for the Baltic Russia, the whole Baltic region. In fact, a Russian citizen was denied access to justice, inscribed in Article 46, of the Constitution of the Russian Federation. The Moscow City Court, presided over by Tatiana Zybeleva on November 14, 2011 upheld the unconstitutional decision of the Basmanny Court. Andrew Talevlin, Doctor of Jurisprudence, who participated in the court on the side of the applicant believes that the court's decision casts doubt on the effectiveness of the Russian justice system as an independent institution capable of regulate the relationship between citizen and state. The actions of officials of the executive power are absolutely uncontrolled, but they affect the rights of millions of citizens of Russia and other Baltic Sea countries. But there is also the European Court! 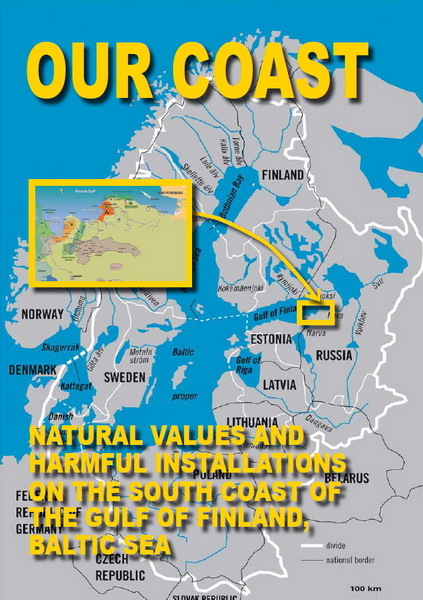 There is no doubt that that court could confirm the right to be safe on the shore of the Baltic Sea! It is critical that that happen before that moment when the two nuclear power plants will begin to operate simultaneously! Distribution of our information is encouraged.